8bGames National Park Escape info about the game-Games2Rule. 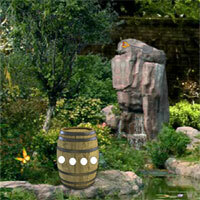 8b National Park Escape is another point and click escape game developed by 8b Games. Imagine that one evening, you went to the national park nearby your house. There you heard a tornado warning. You got shocked as you were alone in the national park.